Initially, ASUS only have two TUF B450 Series motherboards introduced during the launch of the AMD B450 chipset. 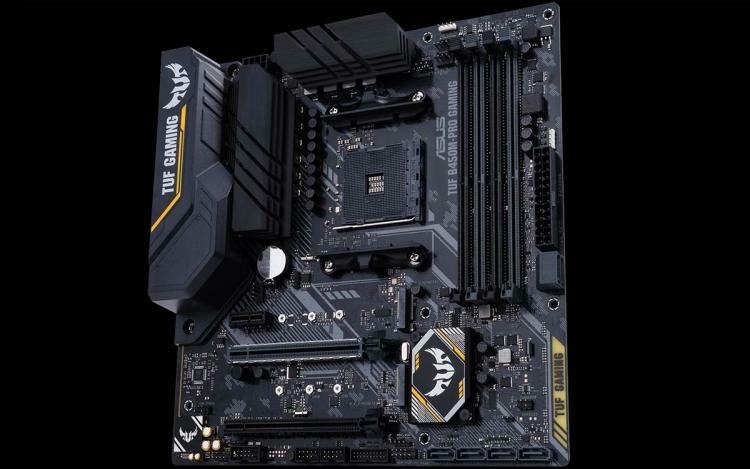 The ASUS TUF B450M-PRO GAMING motherboard sports a micro-ATX form factor and supports higher DDR4 memory and dual 32Gbps M.2 slots compared to a single slot of the previously released TUF B450M-PLUS GAMING motherboard. The ASUS TUF B450M-PRO GAMING also sports premium audio features including Realtek S1200A Codec and exclusive DTS Custom audio to deliver immersive gaming audio. Just like all ASUS TUF motherboards, the TUF B450M-PRO GAMING comes with military-grade TUF components including TUF LANGuard, TUF Chokes, TUF Capacitors, and TUF MOSFETs. Lastly, the motherboard also sports RGB lighting powered by ASUS Aura RGB and follows the colour scheme of other TUF Gaming Alliance series motherboards. - Realtek S1200A Codec with an unprecedented 108dB signal-to-noise ratio for the stereo line-out and a 103dB SNR for the line-in delivering pristine audio quality to gaming and entertainment. - Exclusive DTS Custom audio that delivers positional cues to stereo headphones, helping you to pinpoint enemies and action. - Advanced monitoring with GPU Temperature Sensing and Fan Xpert 2+ allowing users to customize and achieve the best balance of cooling performance and acoustics. - Signature ASUS TUF Protection features including SafeSlot, ESD Guards, DDR4 overvoltage protection, Digi+ VRM, and stainless-steel back I/O for long-term reliability. - Military-grade TUF Components for maximum durability including TUF LANGuard, TUF Chokes, TUF Capacitors, and TUF MOSFETs. - Vivid and stunning ASUS Aura Sync RGB lighting for synchronized illumination with other compatible components. The ASUS TUF B450M-PRO GAMING motherboard is now available at partner resellers and distributors worldwide. Available at Scan Computers UK with an MSRP of £102.98 incl. VAT. Learn more about the ASUS TUF B450M-PRO GAMING motherboard here. Check out our AMD B450 Motherboard Round-Up here.